Design and build a control system to generate foam used in soil conditioning for underground tunnel projects. 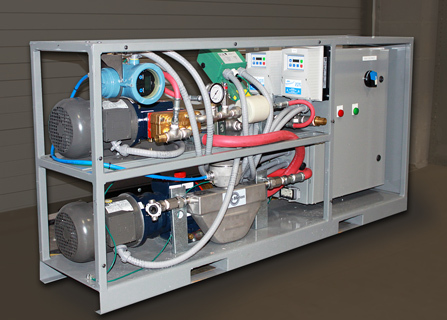 The unit will control the flow of water, air, and chemical to produce a specified consistency of foam. Unit must be compact and fit in a small underground mining train. System must be remote controlled.